With the Colorado Rocky Mountains as a backdrop and an outdoor country party as a theme, an event at Avalanche Ranch becomes a celebration of nature, family, friends, continuity, and love. There is no place like the mountains to celebrate a special occasion, and our Colorado vacation cabins are the perfect place for friends and family to gather and celebrate. The Ranch also has a venue for indoor business retreats, meetings, and yoga/wellness. 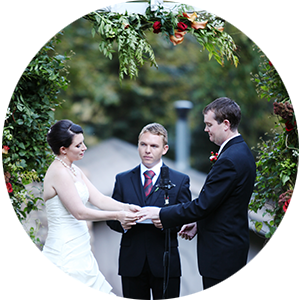 Avalanche Ranch provides the option to rent out our exceptional hot springs lodging property for your wedding or group, so that you and your guests can all stay in one place and enjoy the Rocky Mountains together. 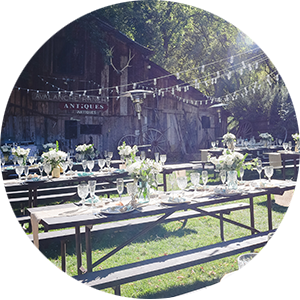 Let us handle the setup including tents, picnic tables, and chairs, and we will also provide a list of local Colorado vendors, including caterers, musicians, florists, and party rental companies. 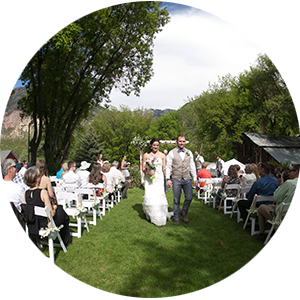 Whether you are planning a Colorado wedding, private reception, family reunion or business retreat, Avalanche Ranch can host your special event for up to 75 people outside under tents or 25 people inside. All group lodging bookings (3 or more units that are coming to the property together) must be approved by management and may incur extra fees. Group bookings that are not okayed by management will be subject to extra fees at the discretion of the owners.